Last week Scholastic Australia gifted us with a lovely new book by Aaron Blabey, “Thelma the Unicorn”. 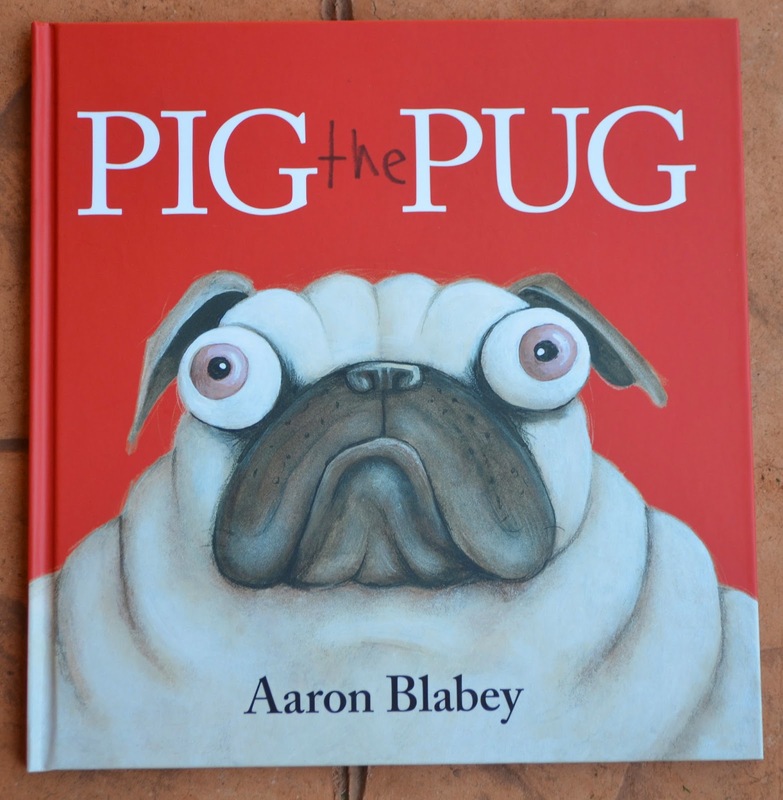 I was excited to see the book, because our family had really enjoyed his last best seller, Pig the Pug, so my expectations were high. Even with such high expectations, I was astonished how Imogen fell in love with the book the moment she saw the front cover. She immediately gasped, grabbed the book declaring she loved it and demanded I read it instantly. It may have been that the title is featured in glitter. My girl doesn’t mind a bit of bling. I suspect that perhaps a small pink obsessed girl may have instantly been attentive because the cover also featured “her colour”. God help us if someone drinks out of the pink cup in our house. Princess over four brothers, she has a self proclaimed entitlement to all things pink. I have protested in vain that pink is everyone’s colour, it is not a girl’s colour. The four boys and little mademoiselle disagree and ignore my attempts to make colours gender neutral. What I did not expect was the instant endearment she felt towards unicorns. The small girl has no exposure to unicorns up until this point. Yet after meeting Thelma she is besotted with them. How did that happen, I ask you? I mean Thelma was not even a real unicorn! She was a plain little ordinary pony who stuck a carrot on her nose and was fortunate enough to have a truck full of pink paint and glitter lose control and deposit the contents on her, making Thelma an overnight sensation. Thelma immediately felt that she was special, and I have to say that my daughter agreed. I am still perplexed. Why? Why are unicorns special? Truly, horns really aren’t that attractive are they? After all, it is a live bone with a coating of keratin and proteins. I know that unicorns have all sorts of magical abilities, and I can see that there can be an attractiveness with the myth. But my daughter fell in love with a pretend unicorn instantly! I’m not sure whether Immy has altogether picked up the greater message in this book that to be happy with who you are is far more worthy than fame or celebrity. I’m hoping so, because it’s a message that all children, but particularly girls need to hear. In any case, even though this has opened my little girl’s eyes up to the perplexing beauty of unicorns, this is a darling book, and I think if we keep reading it. Not that I have a choice, she insists we reads it. She will get the real message in time! Interestingly, when I read to all the children, the boys instantly liked Thelma’s plain old mate Otis. They didn’t really get what the unicorn fuss was about, and were truly happy for Otis that Thelma decided to ditch the horn and become content being herself. Linking today with Essentially Jess for IBOT. The Advent is upon us. If you don’t have a plan, here is an idea for you using books about Christmas. (It’s still early days, you can totally start today or tomorrow, or later, if you want!) Wrap up a book for each day until Christmas, and every day your child can unwrap the book and you can read them together. A friend of mine mentioned on Facebook that she did this last year, and I thought it was a fabulous idea so we are doing it this year. I’m not buying 25 new books. We already have several Christmas books, I packed them away with the Christmas tree so they feel new at Christmas time, so this will work perfectly for me. The few new books we have in the mix this year were given to me by Scholastic to review. If you were going to choose one book from this list, (and you have children 6 years and older), choose this one. The stories are quite long, so it’s not the best book for toddlers. If you got it while the children are under 8, it will certainly be a keepsake to treasure in years to come. I think the stories would be suitable right through to upper primary. The reason I would recommend it so highly is that I suspect most households would have a selection of modern Christmas books in their libraries. This book is literary extension for the modern day kid and has classic tales, which sometimes take longer to tell, but also develops the child’s literature appreciation as well as extending vocabulary and gaining literary knowledge. Many of the stories are age old classics that our grandparents would have read or listened to during their childhood. With the wealth of children’s books available these days, sometimes the classics that have been passed down the generations are being overlooked for some of the newer stories and their bright glossy covers. This book has a story for each day in December (a perfect advent alternative) and includes work by authors such as Leo Tolstoy, Hans Christian Anderson, the Brothers Grimm, Charles Dickens and The Bible. Titles include The Snow Queen, Yes, Virginia, There is a Santa Claus, The Little Match-Seller, The Story of the Christ-Child, Good King Wenceslas and The Nativity. I love that the lavish images depicted by Tony Ross bring these golden oldies to light. If you have a toddler and you were choose one book from this list, choose this one! I bought our copy years ago from Koorong, they are still selling it, click here if you are interested. Each day has an explanation about Christmas traditions or the Christmas story, followed by a simple activity for children to do which will channel a young child’s anticipation for Christmas and help them celebrate the birth of Jesus. There is also a simple prayer and Bible verse for each day. This is a board book, so it really is suitable for little children, but my lower primary child still engages with the text and it’s a great springboard to discuss the significance of Christmas each day. My boys love this crazy old bloke. We enjoyed The Old Bloke Swallowing a Rabbit at Easter, so there is no doubt that the boys are going to once again be laughing at this silly old codgers antics, starting with its amazing lenticular moving image cover! There are funny elements to look for on each page, which always engrosses them following the sub-stories contained in the illustrations. This story very closely follows the Biblical account of The Nativity, yet uses simplified, (but not dumbed down) easy to understand language with bright and colourful illustrations. It is so important to our family that the children understand the real reason behind Christmas, so it is imperative that The Nativity features in this list. This is a particularly good book for very small children. Even older babies would be able to engage with much loved illustrator, Bruce Whatley’s, illustrations of friendly animals on each page. There is only a few words on each page, so their attention should be maintained the duration of the book. I’ve had 5 babies though, and know there is no guarantee when it comes to babies and attention! The book describes some of the traditions we follow at Christmas, so toddlers are quick to engage with the content and relate it to their own experiences. Our children are a little bit in love with Colin. Any book that accompanies a CD of Colin singing is bound to be a winner in our house. Feature Santa in the story … and well, you can’t lose! (We also love have a Christmas DVD with Colin outlining the Christian elements of Christmas which brings a bit of balance to all the fun also!) This song is to the tune of Waltzing Matilda and very Aussie, particularly with the real Santa calling Santa Koala a great galah for delivering the presents early! This is a Christmas story based on May Gibbs’ best-loved characters, Snugglepot and Cuddlepie introducing the timeless artwork of May Gibbs to a new generation with illustrations capturing the beauty of the Australian bush. I hadn’t realised that when May Gibbs died in 1969 she bequeathed the copyright of her bush characters to charities. In doing so the sale of May Gibbs products have supported thousands and Australian children with disabilities and their families. Royalties from this book goes to Cerebral Palsy Alliance and Northcott Society. Alison Jay is a graduate of the London College of Printing and a critically acclaimed illustrator of many children’s books. (The Nutcracker, Welcome to the Zoo & Nursery Rhyme Rainbow.) The old style illustrations in this book are simply enchanting, and have been presented in such a way that much of the gifts happen around an ‘olden days’ couple, rather than turning up on her doorstep, so it doesn’t feel so silly, but instead quite beautiful. This book contains a host of funny Christmas jokes that are sure to delight any child. My children loved this book last year. (Read about that here) I am positive that it will be a popular book again this year. Why didn’t the lobster share its toys at Christmas? A hilarious Australian take on Deck the Halls performed by Colin Buchanan and with gorgeous Aussie illustrations by Glen Singleton. It’s Christmas Eve – my shed’s a ripper. Children’s book character favourite Blossom Possum is involved in a Christmas adventure as she goes along the bush track to find her old friends Rocky Cocky, Echo Gecko and Toey Joey to try to wake Koala Claws so the Bush Christmas is not ruined. They need to find other friends to help and on the way halt By Jingo Dingo from eating a duck. (I feel a bit sorry for the dingo in this book, his family is hungry, and I’m with the dingo on this one, duck really is delicious.) In the end it was lucky they saved the duck (the Christmas Quacker) since it was able to wake Koala Claws and Bush Christmas is saved. On the first Christmas Eve, so the story goes, the animals were given a very special gift to celebrate the birth of Jesus. Since then, at midnight on Christmas Eve the animals remember. A beautiful retelling of an old Christmas folktale. A magical story about how very Christmas Eve at midnight the animals can speak and they relive a Christmas Eve long ago when Jesus was born. These are two wonderful search and find books. I don’t know why boys are particularly attracted to these search and find books, but they are. My boys are no exception, and I blogged about how much the loved these books last year here. These are perfect books for getting children preoccupied with hunting through the colourful images and humorous sub stories to find Santa. Particularly good if you need your children to sit in a corner quietly during a festive occasion! This book will be perfect for my three year olds. It’s a robust board book which is sure to entertain with tabs that make animals and people move in the stable throughout the story. A wonderful way to share the story of Jesus’ birth with the little ones. I absolutely adore this book (and CD) which ought to be no surprise, how could you go wrong with Colin and beloved children’s author Nick Bland? The illustrations are so very Aussie, and it captures a lot of an Aussie larrikan family Chrissy with kids jumping in pools, swinging on clothesline, Grandpa dozing, and driving in a ute on a scorching summers day in singlet, shorts and thongs. Christmas in Australia on a scorching summer’s day, hey! My particular favourite is that the family packs the car and shoot through before the washing up! (We are all so tempted to do this, are we not?) I’ve actually bought a few copies of this book to send overseas as gifts this year. These are just little books I have picked up at the supermarket, but nevertheless the children really do love the stories. I mean, you can never go wrong with Thomas, can you? The text in this book is straight from the Bible, however the illustrations are in the contemporary style of Julie Vivas. Julie Vivas is became famous when she illustrated Mem Fox’s Possum Magic in 1983. Since then her illustrations have continue to enchant and delight children. This account of the nativity is no different, the illustrations draw you in and make you examine them carefully and contemplate what life really was like during that first Christmas. Yes, I know, another Colin book, but seriously, it’s impossible to overdose on Colin. If you are going on a road trip, it would be an even better reason to own all these books and CD’s (yes, there’s a CD again!) to play throughout the trip while the children delight in the wonderful Aussie illustrations in the back. OK, so this is the CD for one of the above books and I was too lazy to go and take another photograph, so be inspired anyway. CD’s and road trips, a perfect Christmas combo! This time the book is illustrated by Roland Harvey and his funny and distinctive Australian flavour. This has been a much loved book in our family that I bought quite some time back at our local Koorong. (Brilliant Christian bookstore) I actually need to go hunting a little bit before I put this book out this year because I realised when I unpacked it that the baby Jesus plus Joseph and Mary are missing (and perhaps a few other key characters from the Nativity.) I hope I can find them, because the children adore moving the magnetic characters through the various magnetic scenes and telling the story together. The Christmas story told in a child friendly manner with cute illustrations. I thought on Christmas Eve it would be good to pause and remember it’s not all about Santa coming, but rather that the arrival of baby Jesus would be the beginning of salvation for mankind. This is a beautiful book and a wonderful retelling of the nativity story to the cadence of “The Night Before Christmas”. Not a creature was stirring, though plenty were able. All comfy and cozy, had drifted to sleep. A perfect book the night before the big event! Do you have any favourite Christmas stories/books in your home? Are you counting down the Advent this year and if so how? * I was gifted some of these books by Scholastic Australia. All opinions are my own, and I wouldn’t make a recommendation unless myself and/or my children enjoyed the books. Dinosaurs are just one of those topics that immediately capture a child’s interest. Large scary creatures (that can also looked friendly according to an artists depiction) certainly encourage imagination and curiosity. Scholastic sent the Big Book of Aussie Dinosaurs by Kel Richards and illustrated by Glen Singleton to review. My immediate reaction was one of delight, because I love that it is Australian. Excuse my little models bed hair. Is any other mother of boys regularly guilty of not combing her kids hair? My grandparents used to live in Hughenden, close to where the Muttaburrasaurus was found, so I was well aware of that dinosaur, but when I was reading this book to the kids, I was surprised just how many Aussie dinosaurs there were! We visited my grandfather in Hughenden when Jonty was very still a baby. The kids, especially my nephew who is older than Jonty, especially loved visiting the dinosaur museum there. After I read the book, I kind of wished my grandfather still lived there so we would have a convenient excuse to visit it again. I’m sure we will get there again someday, but not in the foreseeable future! You kind of need a reason to travel the many hours to outback Queensland. My Grandfather with my niece and nephew and Muttaburrasaurus in 2007 – the kids look so small! Trent has been learning about dinosaurs at Kindy, so when I mentioned this book to his teacher, she was immediately excited, so Trent brought it in to share with his Kindy friends. (I have a feeling it’s going to be on the teacher’s list to obtain a Kindy copy for next year’s class.) When he brought it home he said that his friends loved it because it had lots of funny pictures in it. Well done Glen Singleton – your vibrant illustrations are certainly loveable! In particular Trent told me that they laughed very loudly for a long time (see below) where a plant eater was squirting tomato sauce. I got him to pose with that picture and he said to say in my blog (so I will quote directly), “They likeded the piece when he put tomato sauce on. They laugheded.” (I’m trying my best to get him to drop the double “d” sound at the end of words, although I’m tempted not to. It’s so cute. I’m sure they learned a lot about dinosaurs as well as enjoying the illustrations. There are loads of pictures and facts on every page – and even a pronunciation guide to help kids say all those tricky dino names! They can find out which Aussie dinosaur was the biggest, or the fastest, or the hungriest – and everything else you never knew about the dinosaurs that roamed down under! There is even an Aussie Dinosaur Gallery at the end of the book! If you have kids who loves dinosaurs, I’m pretty sure this is a book they will adore. So, have you or your kids heard of the Muttaburrasaurus? Teaching children to love literature is one of my passions. Allowing children to form a book club could be such a fun way to enthuse young readers to delve more into literature. I have often spoken about my fondness for my book club. Meeting with those girls is always one of the highlights of my month. Not only do we discuss literature, we eat, drink (normally tea, but on occasion we have been known to have a little tipple of something stronger!) and discuss so much more than the book. We have really reached a level where we just share life with one another. Scholastic sent me a book (published in March) called “The Bush Book Club” by award winning Australian children’s author, Margaret Wild and illustrated by Ben Wood. Let me tell you. I LOVED this book. Scholastic regularly sends me books to review, and I do choose my favourites to share with you. But this one, it’s my absolute favourite! I think because Margaret Wild and Ben Wood have really captured what it means to love books along with that magical moment when you first fall in love with reading independently. I can remember that moment for me. My mother was reading aloud an Enid Blyton book, “The Children of the Cherry Tree Farm” to my sister and I while she breastfed my brother. All of a sudden she stopped mid story. I don’t know why. Maybe she stopped breastfeeding, got too busy or just thought the story was a little bit too old, which in fact it was. However, I just really wanted to hear the ending. (It’s a weakness of mine, wanting to know the ending. I’ve had many a late night waiting to see the end of a film or staying up late to finish a book.) I took the book and finished reading it to myself. I was only in year one, and it wasn’t a particularly easy book to read – not at all like Amelia Jane or the Faraway Tree. In fact, the story wasn’t really that interesting and I had to skip quite a few hard words, but I did read it. After I finished I knew I could read anything, and I did. In our family, I was often the kid with the nose stuck in a book. In “The Bush Book Club” all the animals belong to The Bush Book Club. All except Bilby. He can’t stay still long enough to read. (And oh how I recognised Bilby. I have taught him before, I’m sure of that.) Bilby is quite happy to not belong to the book club, it’s obvious that Bilby thinks reading is boring. It takes being locked in the book club overnight by accident for Bilby to discover the joys of reading. Mind you, Bilby has a series of very inventive ways of using books before he actually opens the page and starts reading. 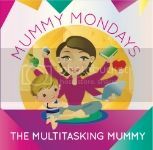 I’ve been planning on writing this post for absolutely ages because as soon as I read this story, I immediately wanted to have the children belonging to my book club Mums around for our very own children’s book club, in the style of The Bush Book Club. We did try very hard to organise this, but they are all very busy ladies and this is a very busy time of year, and we just couldn’t pull it off – yet. When we do, I will be sure to write another blog post about it. Following the format of The Bush Book Club, I was going to read the story to the children first, then the children would play with the books like Bilby did before sharing with each other their favourite books. Of course we would need to end with some food and playtime. My children have not discovered the joys of independent reading yet, so it could be any book they enjoy. My son in year 2 really struggles with reading, despite the fact that he was read aloud to in the womb and every day of his life. He has moments where he will be interested, but I’m trusting that one day something will just ignite for him. In the meantime, he would still be very keen to join in book club because he does love literature and loves story time. At the moment he’s obsessing on non-fiction books particularly about farming. I think he’s just about got every book possible out of the school library. If you are a book lover or belong to a book club, this will be a book I guarantee you will enjoy reading to your child. It’s a great one for teacher’s also. I know I would use it in a classroom to enthuse children before setting a book report task. And here’s the exciting news! Scholastic are giving five copies away to Caitlin’s Happy Heart readers. To win a copy, please answer the following question below AND leave your contact details. I would also feel honoured if you ‘liked’ my Facebook page. The winner will be chosen on Sunday May 4th at 8pm. The winners will be chosen according to the story they tell when answering. When did you develop a love of reading and what were you reading when this happened? I’m linking up with Essentially Jess and the very fabulous IBOT. Easter Egg Hunt and Easter Books for the Kids + GIVEAWAY! This morning I invited a few of the younger children’s little friends around for a morning of Easter fun and literacy. We started by reading a really sweet “Little Mates” book, “Easter Egg Express” by Susannah Mc Farlane and Caroline Keys ($4.99, Published in March 2014, Scholastic Australia). It introduced in the concept of an Easter egg hunt for the morning. The thing I liked about this story was it was overtly Australian and featured bilbies! (My kids didn’t even know what a bilby was, despite eating chocolate in years gone by…) The Bilbies were responsible for hiding Easter Eggs for the children to find on Easter morning. They enlisted the help of their friends, and the book is a great example of how teamwork and co-operation can accomplish a task. It’s such a sweet little book, and actually would be ideal to chuck in your children’s Easter basket. Something to read while they munch on all that chocolate Easter morning. Once we had discussed the possibility of an Easter egg hunt, we did some craft with the children. I gave them each a Chinese noodle box that I had picked up from a local kitchen wholesale outlet. Inside were some Easter stickers, foam shapes and animals and Easter egg foil we’d saved from a previous year. The kids were very focussed on glueing them to the outside of their boxes to decorate them. It may seem like a simple task, but it doesn’t hurt approach a task with double capes, bat mask, superman clothing and watch that play superhero theme music. Never underestimate the creativity that is unleashed when combined with super powers. I think the boxes turned out pretty darn cute in the end. Holding their little boxes the children settled down on the lounge chair for another story while the Mummies hid some eggs. the popular tale, “We’re Going On a Bear Hunt”, truly held their interest. Especially when the Easter Bunny came on the scene! After the story, the kids went on their own Easter hunt. Yum, yum! And just to complete the sugar high, cupcakes for morning tea. There’s a lot of repetition, which is always popular with children. We had our own Crikey, that’s funny moment when we got to the end of the story, and found the ending was missing! At some point a triplet had obviously accessed the book, and decided to rip out the last page! Just as well we could work out from the page that remained that the old man had ended up exploding and the animals safely escaped his interior! So altogether, it was a really pleasant morning with busy and engaged children. And guess what? You could win one of the books we read today! I have FIVE copies of “We’re Going on an Egg-Hunt” book and CD to giveaway to Caitlin’s Happy Heart readers. For your chance to win, comment below** on something you plan to do with your family over Easter. We’re going to Easterfest! (Super Dooper Christian music festival) Hopefully I will be able to report back some exciting stories about our time there. Two year old triplets at a music festival. There’s got to be some stories waiting to happen there! Stay tuned! As a lovely Easter surprise, the winners will be chosen Good Friday by a random number generator (18th of February) at 7am. Nice and early so I can email (make sure you leave contact details, otherwise you’ll never know if you won!) you before heading to the festival. Please check your emails, because if I haven’t heard back from you by Saturday 10pm I will choose another winner. Sorry to my international readers, but this is only open to Australian residents. What are you doing with your family this Easter? ** Some people have had difficulty posting. If this is you, please head over to my Facebook page and leave your comment there to be eligible to enter. Rawr! by Todd H. Doodler and Dinosaur Farm by Frann Preston-Gannon are two books about dinosaurs that will capture your young child’s imagination and interest. There has been two books I have been wanting to share with you for quite some time. They were instant favourites when a box of books arrived from Scholastic, so I knew that they were on the “must blog about” list. Unfortunately life has a way with interfering with blogging, and it just hasn’t happened. (Which I’m afraid is the way it’s always going to be. It is only right that my blog takes second place to living!) Because my favourite way to explore books with children is using reading in conjunction with activities and experiences, I had wanted to write an idea packed post about exploring dinosaurs, but it just so happened that the activities we did around dinosaurs were more organic and not photographed. You know stuff the kids loved, but not anything to blog home about! I am committed to telling you about these books though because they are superb! My little two year old girl especially liked Rawr, and let me tell you, when she joins in with the “rawrs” it’s one of the cutest things ever! It really is a book that engages with children and invokes participation. It’s all about a dinosaur who sometimes struggles with people’s perceptions of him. Because being big can sometimes be a problem. He explains that if they think he is scary because he’s big, they’re wrong. There’s a whole heap of friendly things he does. There is also a request to tell all your friends that Rawr means hello in dinosaur. So, I am pleased to pass this community announcement on to my readers. Consider yourself told, and don’t be alarmed if you are ever rawred at by a dinosaur. My kids love the page where he rawrs at everybody and they join in enthusiastically. We are such a friendly crew around here! Ok, so not the most flattering photo, but she’s really connecting with the dino on the front cover, she loves him so. Especially since his tummy is soft and squishy at the front. Anything with the word in the farm in it has a high probability of being a hit with my children. Their Grandad (Farmer extraordinaire) is grooming them to join the family business and return to the land. At this stage, the attraction is far greater than emulating Daddy who sits in an office with a calculator. Even though they think Daddy is the bees knees, his work would be so much more impressive if he needed a tractor to complete his jobs. And so Frann Preston-Gannon’s book, Dinosaur Farm very much appeals to my kids. The text says nothing about dinosaurs at all. It simply describes a day in the life of a farmer. It is the illustrations that bring the story to life. My kids loved looking at all the farming activities and what the dinosaurs were doing. They especially loved the page where the poor farmer had to clean up a humungous pile of dino poop. (I do have boys after all.) It is just one of those delightful books that capture the imagination of a child. Because the children loved reading about dinosaurs so much after these two books entered our household, we started focussing on dinosaurs a lot more. We didn’t really have a chance to do dinosaur craft, despite my best intentions. The triplets had painted a paper plate which we were going to make into a stegosaurus, (there are lots of examples on Pinterest, for instance this Mum made some cute ones with her boys here). However, for us, the enjoyment ended up being just the painting of the paint, which let’s face it, the rest of the project for them needed to be completed by me, and as much as they would have enjoyed the end product, I just didn’t have the time. We also rounded up all our dinosaurs in the house and asked to loan my nephew’s extensive dino collection. He was madly into dinosaurs when he was younger. My big boys have liked dinosaurs, but have played with cars rather than dinosaurs. The triplets have loved the dinosaurs. For the first couple of weeks it was a guaranteed quiet activity time when a child was on a mat with the box of dinosaurs. Libraries are often stocked with dinosaur books, and we have borrowed a really great selection over the last several visits. Some of the books we borrowed. I particularly liked the story about Edwina, the dinosaur who didn’t know she was extinct. We were recently given a beautiful dolls house. Except we have no dolls. But the dinos moved in! The triplets have loved playing with the dinosaurs in the house. We did need to teach them that dinosaurs need inside manners and they aren’t allowed to stomp inside houses because the integrity of the structure needed to be retained and protected. Do your children like playing and reading about dinosaurs? What are some dinosaur favourite games, books or activities in your neck of the pre-historic woods? PS. Stay tuned! I will share about another book on Monday, (An Easter book no less!) and it will also be a GIVEAWAY! *These books were gifted to me from Scholastic. All opinions are my own. I have this rather fabulous book club. No, let’s be real here, they are not just rather fabulous, they’re down right UTTERLY Fabulous! We have developed beautiful friendships and books are quite simply the start of our conversations. Since being in our book club, we’ve read a wide range of literature like The Book Thief, (4 years ago, long before the movie came out! ), The Secret Life of Bees and Persuasion. Being a bit of a book bug, I’ve shared a few book reviews on this site. Lately I’ve been doing a fair bit of children’s literature, which I adore, and I do spend a lot of time reading children’s books at the moment. However, I wanted to share about adult books once again this year. It just happens that the majority of books I read for myself are for book club, I don’t have too much time to read too much more after that, although if I do, it’s normally a parenting book. This Thursday night was our monthly Book Club night. This month we read The Rosie Project by Graeme Simsion. My favourite moments in the book is Don mixing cocktails, Don and Rosie eating lobster, travelling to NY and just the constant humour in the way Don expresses himself, which can be summed up as, yes, you guessed it – Hilarious! In our book club, we rate our books out of 10. Here are the scores and opinions of the ladies who were present this month. My good friend Belinda, (Check her out at bbeingcool), liked this book because it was a great insight into ASD done with style and humour. Anna is one of those very practical ladies, and I love her “I’m thinking in percentages” score out of ten! Anna likes this book because it made her laugh. She could relate to it because “I teach kids with autistic tendencies.” Anna also says she would love to be as organised as Don! I think Anna is pretty darn organised as she is. But certainly not to the same level of efficiency as the professor! Belinda and I decided we were far more like Rosie then Don! Proving that she is not ASD herself, Anna could see the beauty in my new Royal Doulton mugs that Alex gave me for Valentines Day! Jodie rushed back from holidaying at the coast to book club with us. Well kind of, not really, her holiday had finished that day, but we were so glad she came despite the travel, especially since she nominated the book this month! (We all have turns.) Jodie scored it an 8 because it was entertaining and intelligent escapism. Have you read the Rosie Project? What was your opinion of it, and can you give it a score out of 10?